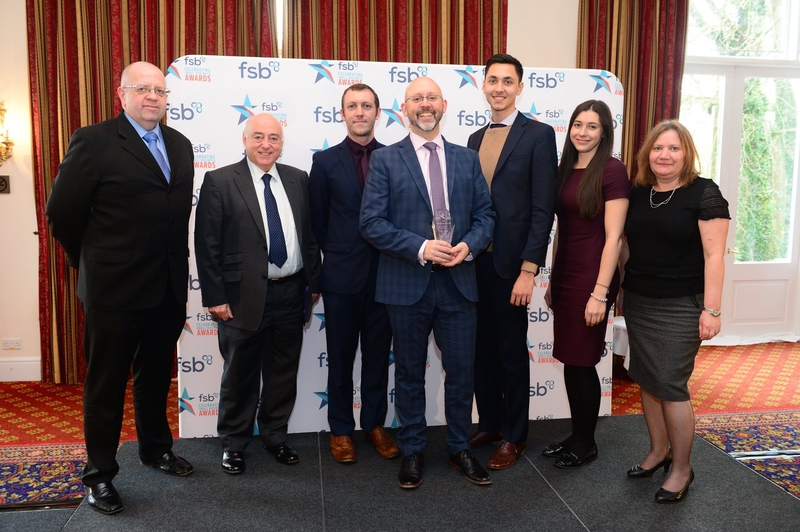 WFP Fire and Security proudly announces they have been named Employer of the Year in The FSB East of England Business Awards 2018. The 14-year-old company has changed a lot over its lifetime, WFP’s core values, however, have stayed consistent throughout. Respectful, Personable, Friendly, Knowledgeable and Professional are just a few of the words used by customers of WFP to describe WFP and the service they receive. There were a number of awards. Some for marketing, entrepreneurship, websites and other business categories. When it came around to the Employer of the Year award finalists, other companies spoke about their staff retention rates, the number of employees on flexible working hours and other stats making their businesses sound like nice places to work. However, WFP’s company description was different. It stood out. Centred around the healthy eating incentives the organization has put in place, including the very popular Fruit Drive. The company focusses on the support and training provided to all team members, both field and office-based, with the added benefit of healthy living through these initiatives. Sure enough, the judges saw this and were impressed. After reviewing all finalists, they’d decided that WFP were worthy winners of the Employer of the Year 2018 Award. WFP became the East of England Employer of the Year 2018. It is believed that it was their motto that secured their place as winners. Managing Director, Paul Field shared their motto “Train your staff so that they can leave you, but treat them so that they don’t want to”. Having won the Employer of the Year award, Field was proud to say that “We’ve now ordered a Ping-Pong table for the office and hope to be playing tournaments by the end of May”. He goes on to add “With a happy and healthy team, customers will receive a better quality service. I genuinely believe that if you look after your team, they will look after your customers”. It’s clear that Field and his team enjoy what they do and are very serious about the impact they have on their customers, considering they are in the life safety systems industry. If they make mistakes, the consequences could be catastrophic and even fatal. Therefore Field pushes to help his team stay focussed, professional and as helpful as possible. Being winners of the East of England Employer of the Year, WFP instantly became finalists for the National Employer of The Year Awards. The presentation of the National awards are yet to happen, but Field and his team are hopeful of winning another award. © Copyright 2019. WFP Fire & Security.